The next time you step into the casino just stop for a while and listen as you approach the table games. When you come near the craps pit, you are most likely going to hear hollering and whooping as you see a lot of people high-fiving each other or making any dramatically animated gestures as they play. 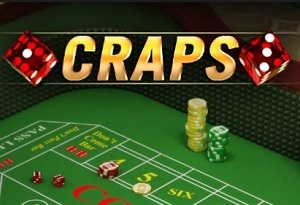 Craps is undoubtedly amongst the most exciting games in the casino and the players are most definitely nowhere near being afraid of showing their emotions and letting them go. The game is particularly fast-paced, very loud and can be very confusing and even intimidating for new players.When you play craps online, however, you get all the benefits of the fast action fun, but less of the yelling. So if you're ready to roll the dice and play one of the casino classics, read on. If you feel initimidated playing craps at a real life casino, you can easily go ahead and take a look at online craps as a convenient alternative. Even though there is no reason to be scared: playing craps online is definitely something particularly interesting, different and dynamic. In fact, this is one of the main reasons craps attracts such a wide audience. Of course, when it comes to playing online, things are not particularly different but you wouldn’t have to sit through the shouts, the cheers and the critical observers who inevitably gather at the exciting craps tables for the spectacle. However, the people who play the game are usually opportunistic and they love to bet and gamble in the purest sense of the word. This is lady luck's favourite game - blow on the dice and roll them to see if you're in her favour. .
A lot of people mistakenly believe that the game is quite confusing when, in reality, it is far from being so. It is actually quite easy and you can learn it in an instant. 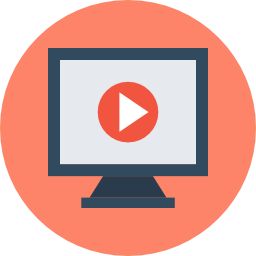 A basic understanding of the most important considerations about the game as well as how to make a proper passline bet is going to be enough to get you started immediately. The good thing is that you don’t have to be concerned with the other types of bets if you want to start playing right away. There is a total of more or less than 40 various bets that you could make on the craps layout. However, most of them provide you with terrible odds and you should actually avoid them. So, with this in mind, the most important thing to learn is the passline bet and how to handle it. It’s pretty basic, so no worries there. What is the Passline Bet? It’s pretty straightforward, actually. The simple bet works pretty much like this. You will have to place your bet on the passline before the shooter begins the new roll. This is usually referred to as the come out roll. If the shooter rolls 11 or 7 – you win! If the shooter rolls 12, 2 or 3 – you lose. Now, if the shooter rolls any other number during this roll out, this particular number will become the point number. The shooter needs to roll this particular number again before he rolls a seven. If this happens – you win. The price matches what you have bet as a passline bet. If a seven, however, is rolled before the new point number is rolled once more – you will lose. It’s as simple as that. This is pretty much it. You can see why the game is so exciting and why people would prefer playing it. 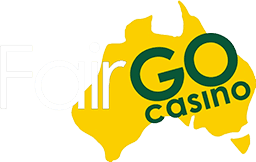 If you enjoy playing online craps, there are other some other interesting table games you'll find in most quality online casinos, such as online baccarat or even casino roulette. Both of these table games are also fast, fun, easy to learn and rely heavily on lady luck with solid odds for high payouts and wins. Baccarat is less well known, but is quickly catching up in popularity online because it's so easy and convenient to play. So, don’t be afraid to try it out just because you are not sure how to pronounce its name – it’s actually a dramatic, fun game with solid winning odds and many craps players enjoy playing Baccarat online as well. Well, there are quite a few different reasons for which you might want to consider this. For starters – it’s tremendously fun. As we already mentioned above, the game is incredibly exciting and playing it online is very convenient. You can experience all of the above without having to leave the comfort of your own home. This is definitely something that you want to take into consideration. On the other hand, it’s also very simple. Sure, there is a significant amount of different bets that you could essentially make but as you already know – it’s pretty irrelevant as most of them don’t provide you with the best winning odds. The simple passline bet that we explained above is all you need to have a lot of fun on the craps table. This is something you might want to consider. 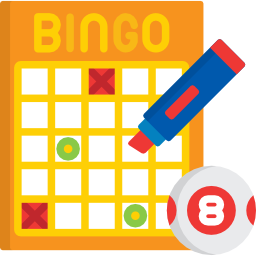 You will get used to the game in one roll and you will quickly catch up to speed. You can find some of the best online casinos here so that you can fully satisfy your thrill seeking impulses at the Craps tables online.